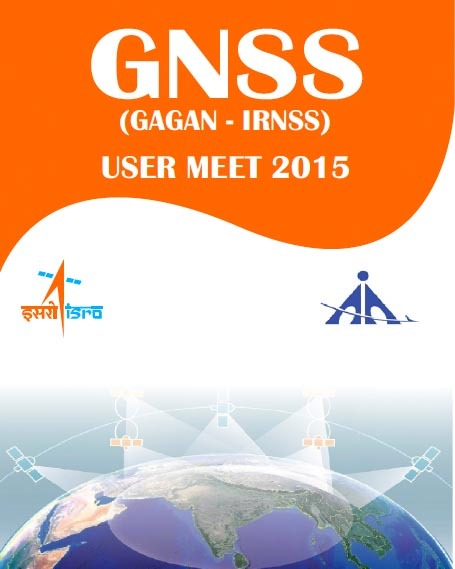 The GNSS User Meet 2015 will be jointly hosted at the ISRO Satellite Centre in Bengaluru by the Indian Space Research Organisation (ISRO) and the Airports Authority of India on the theme, “Towards Self Reliance in Satellite Navigation. "The technical program will include plenary talks, paper presentations, poster sessions, and panel discussions. Participation is invited from the GNSS user community, including various government departments, academia, GNSS receiver manufacturers, research laboratories, and so forth. India has entered into the realm of satellite-based navigation with two projects, GAGAN and IRNSS, which have been certified for the APV 1.0 precision approach, are demonstrating independent positioning. As a part of this event, an exhibition of navigation related products and services will be organized at ISRO Satellite Centre.